The Center For Anxiety & OCD at GroundWork Counseling specializes in the evidence-based treatment for anxiety disorders. Our practice provides empirically supported, research validated care and treatment for individuals, children, and teens struggling with anxiety, OCD, and related disorders. Anxiety disorders are the most prevalent disorders within the general population. Anxiety disorders are typically described as disproportionate worry and fear which cause emotional distress, and frequently cause physical discomfort such as an increase in respiration and heart rate, muscle tightness, and gastrointestinal discomfort or pain. An avoidance of the feared behavior or situation can also be a characteristic of an anxiety disorder, left untreated, anxiety disorders can cause a significant impairment in an individual functioning. 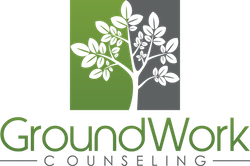 Counselors and therapists at GroundWork Counseling utilize cognitive behavioral therapy (CBT), an evidence-based treatment method that has received compelling research confirmation as an effective approach in the treatment of anxiety disorders. CBT focuses on the premise that our behavior and emotions are unduly influenced by our constant stream of thoughts and by how we choose to view situations. Anxiety disorders are the most common of all psychological problems and the good news is, they are also very highly treatable using Cognitive Behavioral Therapy. It is important to interview your prospective therapist to find out if they are trained in CBT, and where they received their training. Some therapists are better at treating anxiety disorders than others. Their answers to your questions will be a good guide for you. You can begin by asking them about what types of techniques they use to treat anxiety. If the therapist doesn’t mention Cognitive Behavioral Therapy (CBT), or if they are vague, use caution. Be cautious of therapists who say that they use CBT but who won’t be specific in their techniques, or mention techniques such as ‘breathing/relaxation’ as these are not part of true CBT treatment. Be sure to ask about your therapists training and background in treating anxiety. A positive sign would be membership of the Anxiety and Depression Association of America, or a member of the Association of Behavioral and Cognitive Therapists (ABCT). Look for therapists who have sought post-graduate specialized training or certification in CBT and can provide you information regarding where they received their training. Generalized Anxiety Disorder is described as excessive worry about everyday things such as work, family or school. This worry takes place more days than not for at least 6 months. The anxiety is often difficult to control and often includes physical symptoms including restlessness, fatigue, muscle tension, difficulty concentrating and difficulty sleeping. Panic attacks consist of periods of extreme terror or intense fear that something terrible will happen. Often, these attacks come on out of the blue and for no obvious reason. Panic attacks can result in extreme physical reactions that can include heart palpitations, nausea, fear of dying, shortness of breath, and fear of going crazy. Agoraphobia is an anxiety disorder in which individuals who have experienced a panic attack or panic disorder begin to avoid places or situations where they may have experienced a panic attack before because they are afraid of it happening again. These individuals may begin to avoid places where escape may be difficult to escape or get help in the event of a panic attack. The individual may develop a fear of leaving the house, being in a crowded place, going to stores, or being alone. Social Anxiety Disorder is an anxiety disorder that is characterized by an intense fear in social or performance situations. The person has an extreme fear of being negatively judged, humiliated or evaluated by others within a social situation. Typically, the individual avoids the situations in which he may be judged or evaluated, such as speaking in public. Physical symptoms can become intense and include blushing, sweating, nausea, and heart palpitations. A Specific Phobia is a persistent fear provoked the presence or the anticipation of a specific object or situation. Much like Social Anxiety Disorder, the feelings of anxiety are so intense that the feared situation or object is often avoided at all cost. Common phobias include flying, elevators, heights and elevators as well as specific animals and insects. Separation Anxiety Disorder is an anxiety disorder in which a person experiences considerable worry, and fear at the thought of or the occurrence of separation from an attachment figure. It may also include anxiety about harm coming to the attachment figure or the self, should they be separated. Separation anxiety disorder was once considered a disorder that typically began in childhood, and could be diagnosed in adults only if onset was before the age of 18. However, recent diagnostic revisions recognize Separation Anxiety Disorder in adults as a prevalent, often debilitating disorder.